Yes chosing the right glass is important. But despite the fact that glass companies seem to make a different glass for very wine; it is not necessary for you to follow suite. If you are not a connoisseur of wine and/or short of cupboard space one style of glass will do. An all purpose glass should be clear and long stemmed. It should have a bowl larger than its aperture and the glass must be thin. For those who enjoy the wine experience, the glass becomes more important. 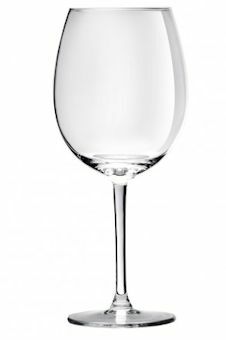 A high quality wine glass perfectly harmonizes every wine's aroma and flavour. The shape of the glass will greatly emphasize the distribution of the aromas. 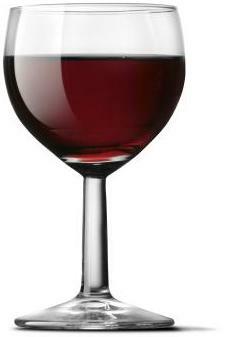 The shape of a wine glass is very important as it can alter the aroma (or bouquet) of the wine. Frosted, coloured or worse, metal glasses are not advised. Choose a glass according to its simplicity. It must be colourless and very thin as to not alter the taste of the wine. 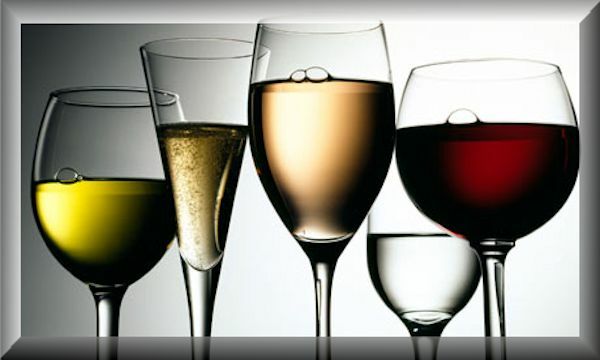 There are four basic wine glasses: White Wine, Red Wine, Sparking Wine and Dessert Wine. The Stem - the part between the Bowl and the Stem. Designed for you to hold your wine glass without the heat from your hands warming your wine, and without creating smudges on the bowl which will distract from the visual enjoyment of your wine. For white wine, you may also want two types of wine glasses, one for younger, crisp whites and one for more mature, fuller whites. The glass for more mature whites will be straighter and taller to dispense the wine to the back and sides of the tongue to taste its bolder flavours. 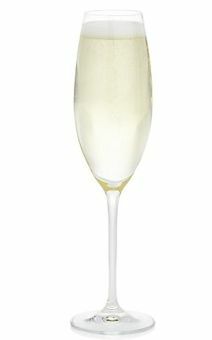 A sparkling wine glass (or flute) will be upright and more narrow to retain the carbonation and capture the flavour in the beverage. The ideal glass for a sparkling wine has a slim tulip-shaped silhouette that turns towards the rim. 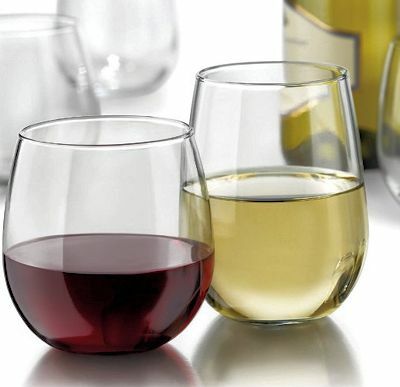 The latest style or trend in wine glass design is the stemless wine glass. It is not a new concept by any means just a new trend in North America. Wineries like Rustico Cellars on the Golden Mile and De Sousa Wines in Beamsville Ontario uses these glasses. They work well in the dishwasher and are less likely to fall or break when you have company. 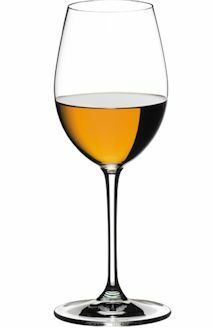 Often, it is recommended that Icewine be served in small liqueur glasses, but research has shown that stemware with a fairly large bowl (9 oz.) is better, as it amplifies the nose and intensifies the flavours. Glass manufactures today make Ice wine glasses. The nose is much more sensitive than the palate.. The nose will tell you seventy-five percent of what you need to know about a wine. You can taste but four sensations, you can distinguish among 5,000 smells. Once again, swirl the glass ~ thus causing the wine's esters to evaporate. The esters carry the wine's aromas. Most people find it difficult to describe what they have smelled. So the first question is "Are there any offensive smells?" Then, "Are the odors pleasant or unpleasant?" If the wine is pleasant, try and relate the smell to something you like. Does it smell fresh, like fresh fruit or berries, nuts or flowers or spicy? Your taste will be affected by the smell.